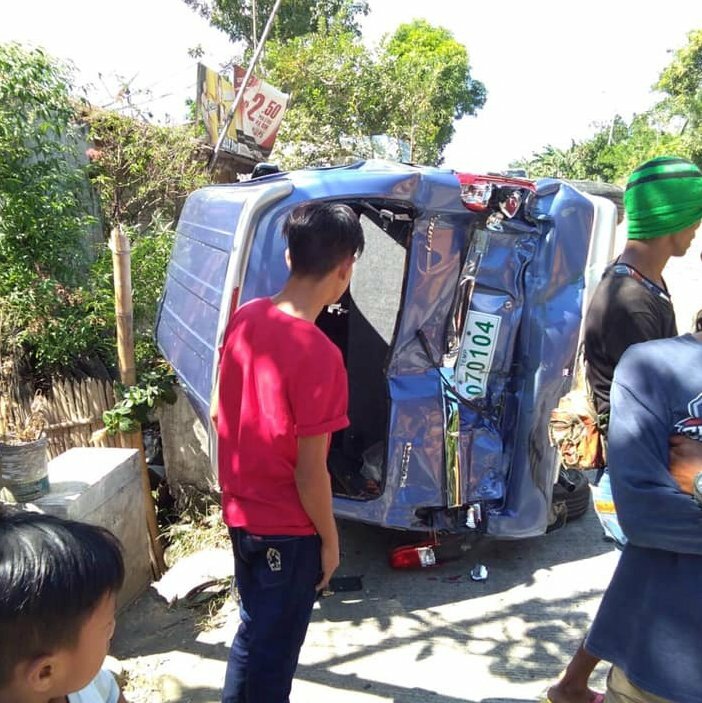 Three people were injured yesterday afternoon following a multiple vehicle pile up in Barangay Lopez Jaena, Murcia, Negros Occidental. As of press time, police have yet to reveal the names of the injured but it was confirmed that one of the victims was one year old. Murcia Municipal Police traffic investigators reported a Honda City VTEC sedan, driven by a certain Zyrilen Queen Lumbo, was heading towards the Mambukal Mountain Resort while being followed by a Toyota Revo sport utility vehicle and a military truck, which was driven by a certain Technical Sergeant Silvano. Silvano said the driver of the SUV slammed on their brakes, which caused his truck to collide with the SUV, before slamming into Lumbo’s sedan. The force of the impact wrecked the SUV, turning it to its side, while the rear portion of the sedan was totaled.